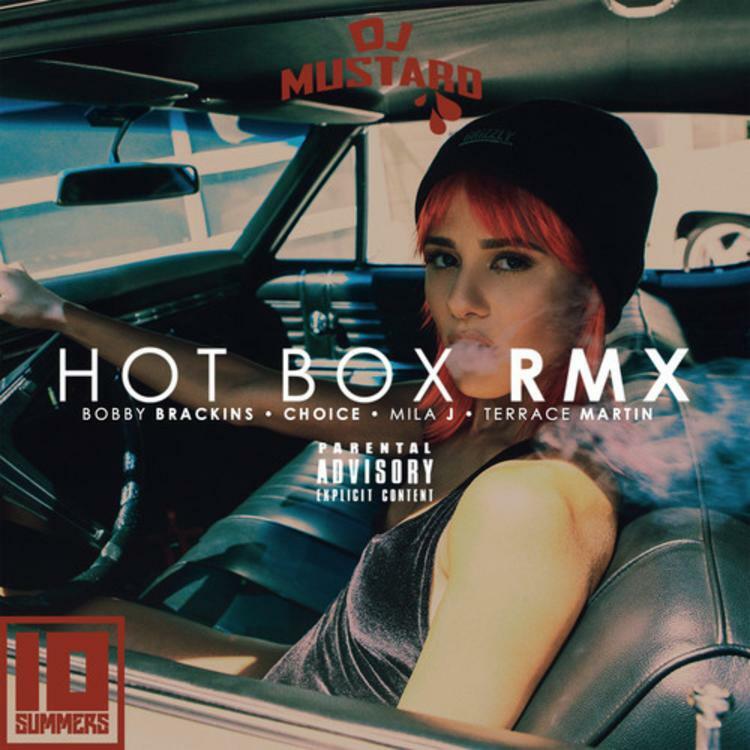 Check out a new remix of Bobby Brackins' "Hot Box." Back in August, at the peak of "The Summer Of Mustard," L.A. crooner Bobby Brackins got a big look on his track "Hot Box," which featured Cali heavy-hitters G-Eazy and Mila J, and was produced by DJ Dijon himself. Now, Mustard has posted a new remix on his SoundCloud, which subs out Young Gerald in favor of a verse from Choice and a delightfully baroque outro composed by multi-instrumentalist Terrace Martin. Despite his relative lack of clout when compared to G-Eazy, Choice pops off a guest verse much better than its predecessor. He name-drops Nebuchadnezzar, and asks who your girl is doing kegels for.